In his latest series on the American middle class, Leisure, photographer Bill Owens looks back at the way we raged. BILL OWENS HAS an unerring, compassionate eye when it comes to middle-class America. He made an indelible mark on popular culture and photo history with his 1972 project, Suburbia. In book form (Simon and Schuster, reissued by Fotofolio in 1999), it's a testament to Tupperware parties, garage sales, prefab sod lawns, banana-seat bikes, rumpus rooms, and wet bars. While the period-fashion indicators – feathered hair, dried-flower arrangements, aviator glasses, and headbands – and split-level architectural styles may imbue Owens's pictures with an irresistible layer of kitsch, what makes them classics is the way he captures his subjects with such truthfulness, and sometimes even dignity. He followed with two other, now out-of-print books, Our Kind of People: American Groups and Rituals, in 1975, and Working (I Do It for the Money), published in 1977. These pictures put him in a category of major U.S. photographers such as Lewis Baltz, Robert Adams, and Stephen Shore. Then he disappeared from the art world. More on that later. 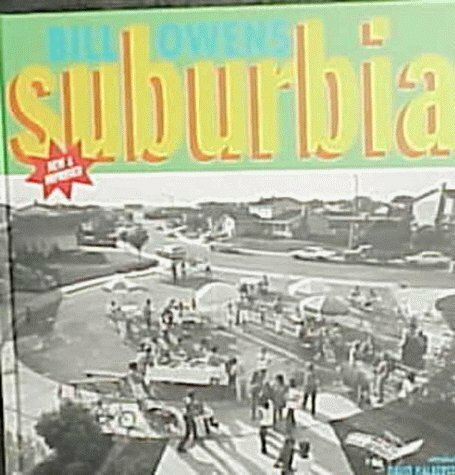 Almost 30 years later, Owens is back with a new volume, Leisure (Fotofolio), a collection of pictures from the same era, this time focusing on a specific aspect of suburban life, that is, playtime. The photographs, some of which are on view at the Robert Koch Gallery, show us the lifestyle rewards for all the commuter mileage Dad put on the Pinto and the isolated ennui Mom and the kids endured in the tract house. Owens depicts suburbanites, most from Livermore, heading off on a family trip with their powerboat, playing volleyball with the neighbors, do-si-do-ing at square dances, shopping at swap meets, and screaming on the sidelines at a Bee Gees concert. The pictures are usually accompanied by revealing captions provided by the subjects: "I'm just killing time" is the inscription beneath a picture of teens in a pinball arcade. "I look at myself as Rip Van Winkle," Owens tells me over the phone from his home in Hayward. "I just had someone give me a scolding when I asked him why my prints don't sell for $18,000, like William Eggleston's. 'Because you didn't do anything for 20 years,' my friend replied. It set my career back. Well, I'm no longer invisible." Indeed. Besides the San Francisco exhibition, the Leisure pictures will be in upcoming shows in England, Spain, and Austria. The Leisure images are intoxicating in the way that they mix nostalgia with a knowing hindsight and the idea of a culture about to lose its innocence. Owens was a photojournalist witness to the notorious 1969 Rolling Stones concert at Altamont, where Hells Angels were implicated in killing a man. The photographs are pre-AIDS, pre-recovery culture, pre-political correctness (the suburban scenes are notably not multicultural, despite the images of karate and Chinese cooking classes). On the back cover of Leisure, Owens writes that the project was "like being a National Geographic photographer with the assignment of photographing my own world." The approach lent the pictures a kind of bemusement rather than a sneer. "I'm sensitive to the cheap shot; I don't pander," he stresses over the phone. "I am socially concerned. 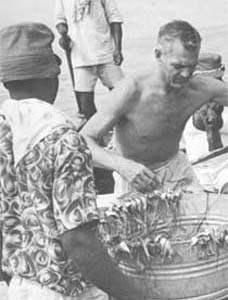 I want to see a just society," he admits, adding that he was raised a Quaker. He finds it difficult to stay off political topics. "The Republicans aren't making a better society. Let's start working on basic things: let's legalize marijuana and make a billion on taxes to help pay for health care." Owens, who at 66 has a hearty eccentric manner, is also quick to point out that he hasn't been twiddling his thumbs since the early 1980s. "Back then, I was making images about our society. But I was not interested in being a starving artist. I had to get a job." Mind you, his career choice was one with independent spirit: in 1983, he founded Buffalo Bill's Brewery in Hayward, the first microbrewery pub in the country, and published American Brewer magazine. "I'm one of the most famous people in that industry," he flatly boasts. He's currently heavily involved with the microbrew equivalent of distilleries (go to www.distilling.com). It's not surprising that Owens is a foodie. While many of the Leisure pictures, he says, were shot with a formidable 8-by-10 camera – "I wanted to do the hardest thing you could do, capture the Decisive Moment like Cartier-Bresson" – these days he's using a faster, less cumbersome digital camera to document the contemporary American diet, in still images he's putting into book form and in short digital movies. He also distributes his recent pictures online: "If you want to get whacked-out jpegs, get on my e-mail list," he offers (go to www.billowens.com). The new images, he says, "are about the crap we eat, not Gourmet magazine. We eat poorly. Corn syrup is what makes us fat. You're better off with regular sugar." He digresses on a lengthy tirade about poor nutrition that suggests there's more social criticism in his earlier work than meets the eye. And as mentioned earlier, his eyes are wide open. When asked about his current impressions of suburbia, he replies trenchantly, "I don't think suburbia has changed one bit. Now people just have 60-inch TVs." 'Bill Owens: Leisure' runs March 3-April 30, Tues.-Sat., 10:30 a.m.-5:30 p.m., Robert Koch Gallery, fifth fl., 49 Geary, S.F. A reception for the artist and a book signing take place Thurs/3, 5:30-7:30 p.m., Robert Koch Gallery. (415) 421-0122.